Destination Covered : Chennai - Port Blair - Havelock Island - Chennai. Board your flight from Chennai to Port Blair. Upon Arrival our spokesperson will assist you to the hotel. You may enjoy your free time today to gear up your energy for tomorrow and explore a little about the city as well for the day. Retire for the night at the hotel. Take a virtual start to your Andaman and Nicobar Islands trip today as you visit the fine beach of Corbyn's cove and Chidiatapu Beach (the bird beach). 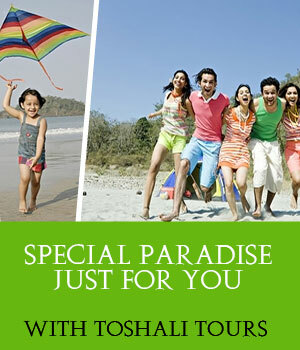 Explore your love for nature and also enjoy the sightseeing of the variety of species of the natural world here. Museums are the hot spot destination for the day. Visit Anthropological Museum, Zoological Survey of India Museum, Samudrika Naval Maritime Museum, Aquarium Museum, Forest Museum etc. Besides the Museums when visiting Port Blair one can never miss a chance to take a glimpse of the Cellular Jail which is recognized as a world heritage site. During the noon visit the amusement park and have a blast. Retire for the night at the hotel. Post sunup we'll move to Havelock Island via ferry ride to observe the coral and sandy beaches of the thick forests at Havelock. Elephant beach and the Radhanagar Beach are renowned for its palm trees, coral reefs and what not. Retire to the resort for the night. Commence your last day of the tour to Port Blair via boat ride. Upon arrival we'll shift you to the airport for your flight to Chennai and your beyond journey for your native soil.